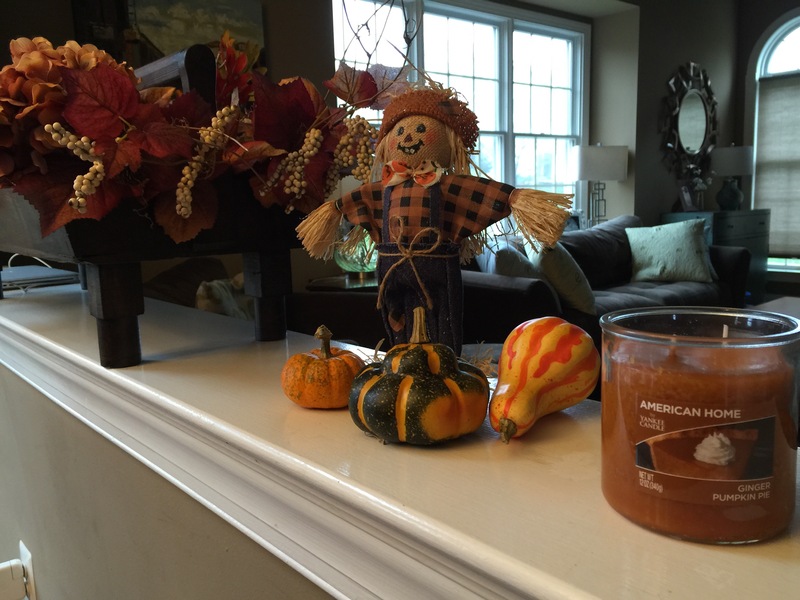 I love to transform my home into the scents of the season with the help of aromatic goodness from Yankee Candle. 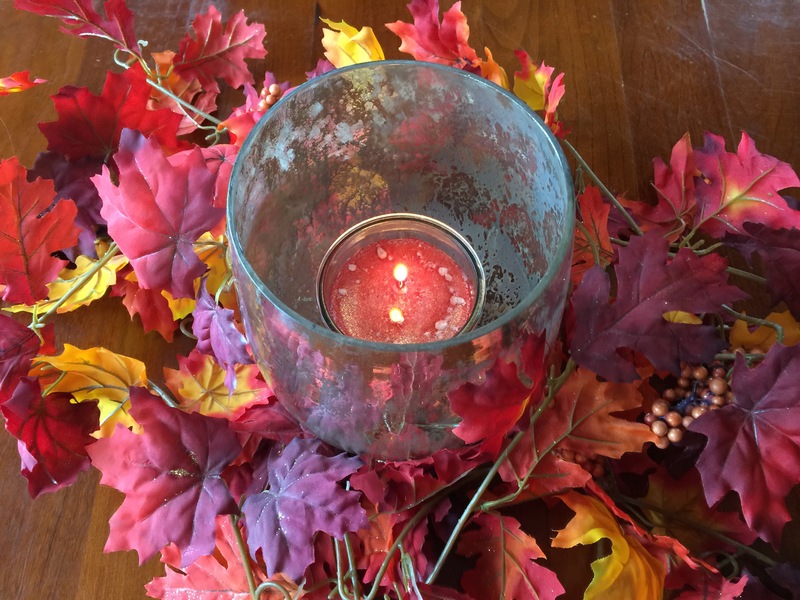 My favorite time of year to burn candles is from November to January when we’re all heading into that hibernation mode in our cozy holiday home. The fabulous seasonal scents from Yankee candles are just one more way to transform our home beyond just holiday decor to make it more festive for Thanksgiving and Christmas. Did you know you can now buy Yankee Candles at Walmart? The American Home line created by Yankee candle is excellent and available in a variety of sizes. I just stocked up on my favorite seasonal colors and scents so I can make my home festive for the season. 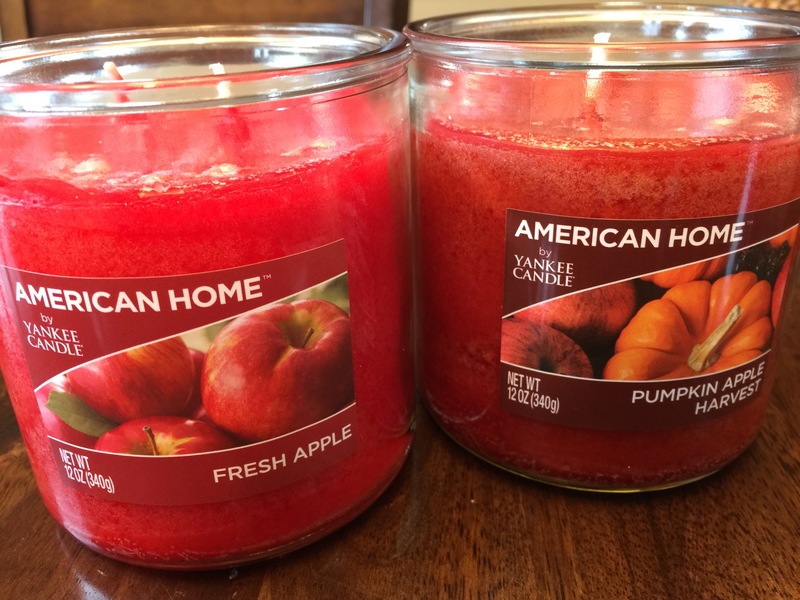 You can buy American Home candles at Walmart or Walmart.com. 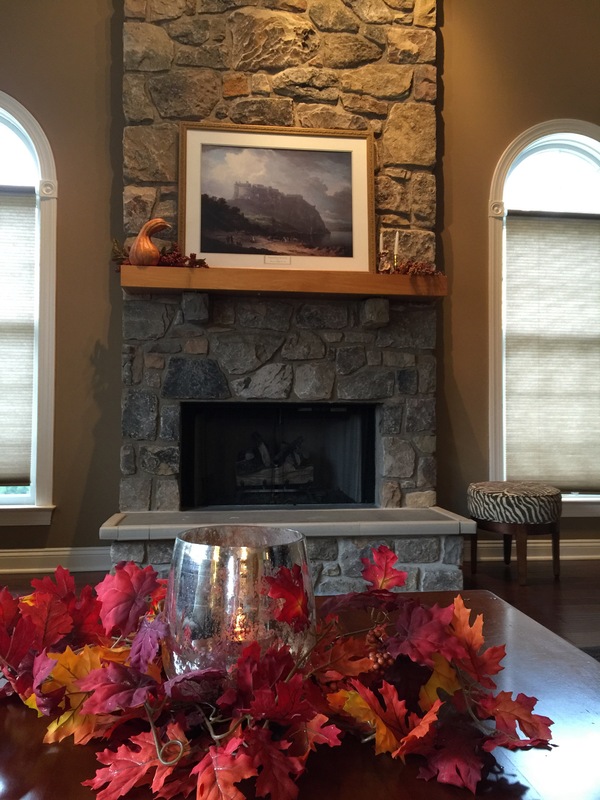 Browns, Oranges, and shades of Red are my top choice for Thanksgiving and the winter holidays. I love to incorporate my candles into my favorite Hurricane Style Candle Vase that I keep in my family room. In the Fall, I surround it by foliage and come December surround it with Evergreens. The candle lights up the vase to burn beautifully in the evening hours and throughout the day and night spreads seasonal aromas downstairs — which is especially awesome if guests are visiting! Adding holiday candles with seasonal scents is really a simple easy touch that makes your home even more welcoming to guests and family. The easiest way to decorate! 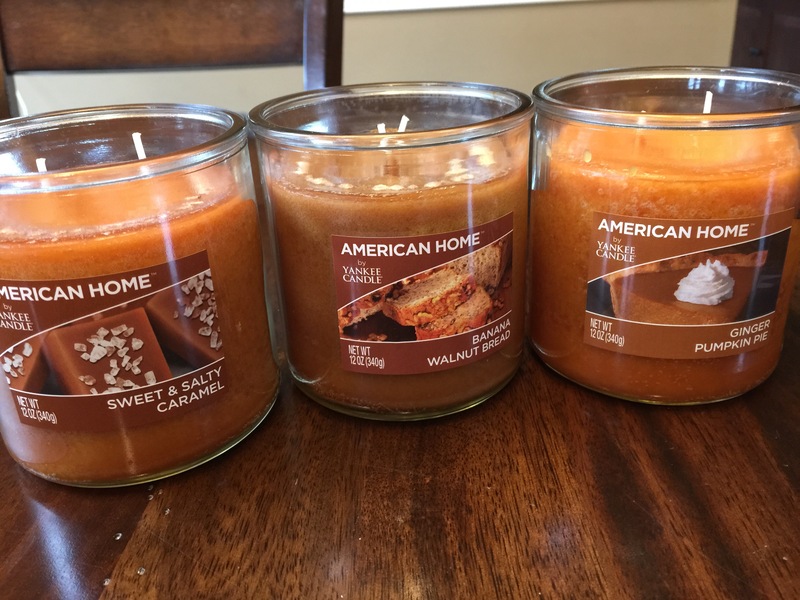 I purchased each of the above styles shown in my photos for only $10.93 each at Walmart.A bargain for a smell that makes me instantly feel the Christmas spirit and Thanksgiving spirit throughout my entire home!